“Crossing Borders: Hebrew Manuscripts as a Meeting Place of Cultures,” is a major exhibition at Oxford University’s Bodleian Library. It opened in December and will run through May 3.. It is based on the library’s own Hebrew holdings – one of the largest and best Hebrew manuscript collections in the world. The Bodleian’s Hebraica curator Dr Piet van Boxel is also librarian of the Oxford Centre for Hebrew and Jewish Studies Centre. The exhibit describes how Jews, Christians and Muslims lived together during the Middle Ages, and illuminates the Jewish experience across Europe and the Middle East in the 300 years between the 13th-15th centuries. On display are manuscripts written in Hebrew, Latin and Arabic which illustrate how Jews and non-Jews interacted socially and culturally in both the Muslim and Christian worlds. Similar decorative patterns, writing styles, script types and text genres appear in manuscripts in different languages from the same region, showing how communities in the same localities shared taste and technology. While Hebrew manuscripts from Spain, Italy or Northern Europe look different, they resemble non-Hebrew books from the same places. Hebrew scribes adopted elements of the surrounding culture, sharing co-existence, cultural affinity and cooperation between Jews and their neighbors. 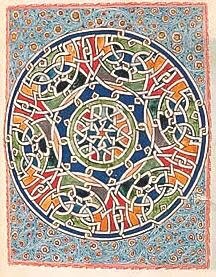 The illustration above left is a carpet page from the Kennicott Bible, an illustrated Spanish Hebrew manuscript of the 14th and 15th centuries. According to the exhibit site, interactive digital technology allows visitors to “turn the pages” of the manuscript virtually. One prayer book – the Michael Mahzor – produced in Germany in 1258, was illuminated by a Christian who didn’t know Hebrew; the first illustration is painted upside down. The exhibit runs through May 3 in the Bodleian’s exhibition hall. It is open Monday-Friday 9am-5pm, Saturday 9am-4.30pm and Sunday 11am-5pm. No admission fee. Learn to decipher Eastern European Cyrillic and Hebrew archival documents at the next meeting of the Jewish Genealogical Society of Washington State on Monday, February 8. Doors open at 7pm at the Stroum Jewish Community Center, Mercer Island. “Reading in Another Hand: Deciphering Cyrillic and Hebrew Archival Documents from Eastern Europe,” will be presented by Natan M. Meir. This lecture-workshop will demonstrate elements of the Russian and Hebrew/Yiddish cursive scripts used in the Russian Empire in the 19th-early 20th centuries. Topics discussed will include the Cyrillic and Hebrew alphabets, their use in archival documents, key words and phrases in documents of interest to genealogists, and the structure of tsarist and Soviet archives. A number of archival documents will be viewed as attendees work together to decipher words and phrases. Participants are encouraged to contact the speaker in advance with specific documents or questions they’ve had problems with, and some will be integrated into the presentation. Email questions. Born in Jerusalem, Natan Meir was raised in New Jersey and Quebec. 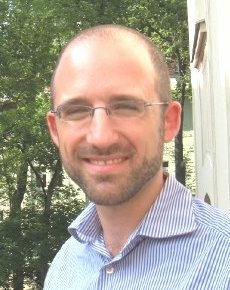 He earned a PhD in Jewish History (Columbia University, 2003), and is the Lokey Assistant Professor of Judaic Studies at Portland State University. His scholarly interest is modern Jewish history, focusing on the social and cultural history of East European Jewry in the 19th and 20th centuries. Fee: JGSWS members, free; others, $5. For directions and additional information, see the JGSWS site. St. Petersburg, Russia, is the home of unique Hebrew manuscripts, which are the focus of a Library of Congress lecture at noon, Wednesday, February 3. The city’s libraries, archives, institutes and museums hold many unique artifacts of Jewish culture, such as more than 15,000 items in The National Library of Russia, which holds the Abraham Firkovich collection. The Leib Friedland collection of manuscripts and rare books is at the Library of the Academy of Sciences, while the Museum of Ethnography houses S. An-sky’s Pale of Settlement ethnographic expeditions material. The Russian Museum of Ethnography’s Judaica curator Shimon Iakerson PhD, will present this program at noon in the African and Middle Eastern Division Reading Room, Room LJ220 of the Thomas Jefferson Building, 10 First Street S.E., Washington, D.C. The event is free and open to the public; tickets not required. The leading scholar in the field of Hebrew incunabula (books printed before the year 1501), and the author of several books on the subject, Iakerson is also senior researcher at the St. Petersburg branch of the Institute of Oriental Manuscripts of the Russian Academy of Sciences. 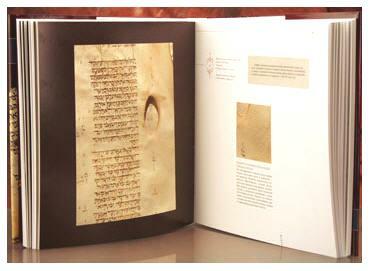 In 2005, he received the first Honorable Medal presented at the Euro-Asian Jewish Congress in Jerusalem for his two-volume work, “Catalogue of Hebrew Incunabula from the Collection of the Library of the Jewish Theological Seminary of America” (New York and Jerusalem, 2004-2005). In 2009, he won the Antsiferov Award, an international prize in honor of the historian N.P. Antsiferov, for his overall contributions to the field of St. Petersburg studies for his most recent work, “Jewish Treasures of Petersburg: Scrolls, Codices, Documents” (Evreiskie sokrovisha Peterburga), St. Petersburg 2008. 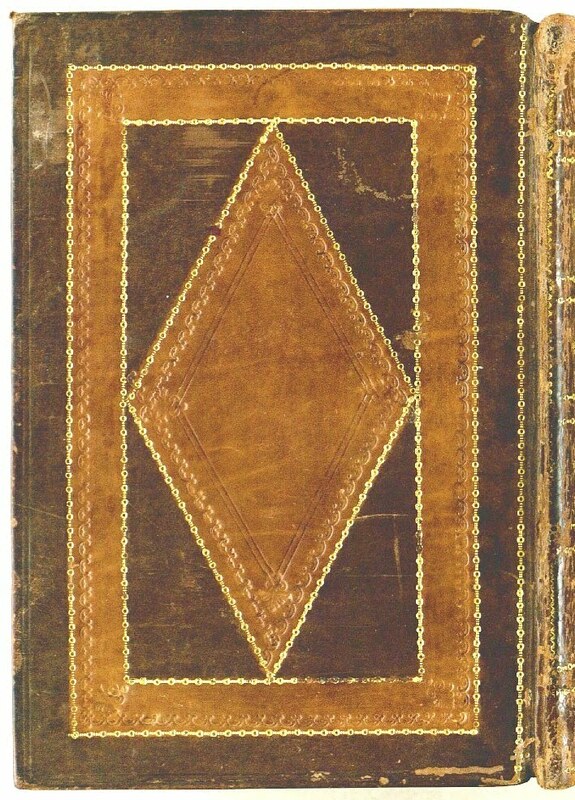 Iakerson’s book presents a selection of examples of 16th-17th century medieval manuscripts, incunabula and unique works such as richly illuminated manuscripts, individual pages of “lost” works, classic works and more. Unfortunately, the text of the 240-page text – with more than 140 color illustrations – is only in Russian. The cost is $299, through The Hermitage Museum online store. See a newspaper article – Jewish Treasures Survive The Czars – about some of these treasures from the St. Petersburg (Florida) Times, from April 15, 1995. The Jewish Heritage Society here offers more information, as does the Petersburg Judaica Center. Here are details on a book, “Photographing the Jewish Nation: Pictures from S. An-sky’s Ethnographic Expeditions,” by Eugene M. Avrutin, ed, which includes 170 photos from the Pale of Settlement. Sephardic researchers should know that St. Petersburg was home to Sephardim from the Netherlands (who were invited by the Czar), that the Russian court physician was the Sephardic Ribeira Sanchez, and that Russian collections hold Sephardic manuscripts. The Library’s African and Middle Eastern Division is the center for the study of some 78 countries and regions from Southern Africa to the Maghreb and from the Middle East to Central Asia. The division’s Hebraic Section is one of the world’s foremost centers for the study of Hebrew and Yiddish materials. Tracing the Tribe has often found materials of interest for our family history among the many resources in the Hebraic Section. Bulgaria: Jewish surname dictionary online. Bulgaria’s Jewish community is a fascinating one and a new database on SephardicGen.com will help researchers of this mostly Sephardi community. If your families of interest lived in Bulgaria at one time, search the Dictionary of Jewish Bulgarian Surnames at Jeff Malka’s site, which offers extensive resources for Sephardi genealogists looking for information on family that lived in many countries. With nearly 800 surnames – most found all over the Balkans – the details include the surname, its variants, its etymology (and original language), meaning and a reference to historical background in medieval Spain. The notes on name origin are fascinating and offer a different perspective. Even if your family doesn’t come from Bulgaria, the notes will help when looking at any list of Jewish Sephardi surnames. Search with only the first letter of a name, unless you know the exact spelling; that’s the simplest method. For example, enter “A,” check “begins with,” receive a list of all names beginning with A. Unfortunately, only 10 at a time are shown and you’ll have to keep hitting “next 10” to see the rest. I found that mildly annoying and wished for a way to choose how many names to display for each search. But the benefits of this database far outweigh the slight annoyance with having to click on succeeding screens. Mathilde Tagger of Jerusalem wrote the introduction to the database at the link above. It includes the history of Jewish surnames in the former Ottoman Empire, information on various alphabets and spelling curiosities, in addition to a large bibliography for more information. She writes that these surnames have been detailed in only three publications, which Tagger analyzes. They include Asher Moissi’s booklet on Greek Jewish names, Baruch Pinto’s Sephardic Onomasticon (mostly on Turkish Jews), and Isaac Moskona’s 1967 article. Moskona’s list of 509 surnames was based on three sources (1895-1967), but gave meanings for fewer than half. Current research covers 798 surnames, and additional ones were found in the passports of Bulgarian Jews when they immigrated to Israel (1948-49). The passports are on microfilm in the Central Archives for the History of the Jewish People (Jerusalem). Where do Bulgarian Jewish surnames come from? 2nd century BCE: Romaniote Jews are recorded arriving after the destruction of the Second Temple. Their names are Hebrew or Greek. 1376: Hungarian Jews, without surnames, are expelled; some reach Bulgaria. They receive mostly Turkish nicknames. 1470: Bavarian Jews are expelled by King Ludwig X, many settle in Bulgarian localities along the Danube and in Sofia, the capital. Few have surnames and receive mostly Turkish nicknames. 1492: Expelled Sephardim from Spain find safety in the Ottoman Empire and reach Bulgaria after 1494, settling in towns where Jews already lived. They soon became the majority and leaders of the community. Spanish Jewish surnames had Hebrew, Arabic, Spanish and Portuguese origins. 1493: Expelled Sicilian Jews reach the Ottoman Empire with Spanish and Italian names. (NOTE: Many Sicilian Jews are originally from Catalunya in Spain, who come to the Catalan-speaking island after the 1492 Expulsion. They thought they would be safe in Sicily, and they were – but only for one year and were expelled again in 1493. Most cross the Straits of Messina into Calabria. 1566-1574: Jewish immigrants from Calabria (southern Italy) arrived; many are descendants of Spanish Sephardim who went to Sicily following the 1492 Expulsion. They had Italian and Hebrew surnames. Over the next 200 years: all Jews regardless of their origin (including the descendants of the Hungarian and German Jews) meld into the Sephardi community, with Ladino as their common language. Late 19th-early 20th century: Ashkenazi Jews arrived from Ukraine, Romania and Russia, but the SephardicGen Bulgarian dictionary only includes Sephardi surnames. Bulgaria was part of the Ottoman Empire 1378-1878, so Turkish was a major influence on the Jewish community. Montana: An officer, a dog and a rabbi ..
How does a Montana police officer communicate with his Israeli-trained sniffer dog who only understands Hebrew? He finds a Hasidic rabbi – a rare commodity in the state – to tutor him in Hebrew. Nu? You were expecting a joke from that headline? The Jewish world learned about Montana in a big way back in 1993 when homes displaying a hanukiah (menorah) were broken into by vandals. Church leaders organized a successful protest by more than 10,000 city residents and business owners to display the holiday symbol in their windows to support and protect the tiny Jewish community of some 36 families. But Jews have been in the state since the 19th century, when immigrant Jews arrived in mining towns and worked in jobs needed by the miners and townspeople. Butte had kosher markets, B’nai B’rith, a Jewish mayor and three synagogues. Helena’s Temple Emanu-El (built in 1891) could seat 500 worshippers, and its cemetery has stones dating to 1866. Today, there are many fewer Jews than in the old days, but there are now three rabbis. Two are in Bozeman, one in Whitefish – Tracing the Tribe can imagine the jokes about that one! Eric A. Stern, of Helena, is senior counselor to Gov. Brian Schweitzer, and wrote a New York Times column on the Montana rabbis and an Israeli-trained bomb-sniffing security dog. Last year, all the rabbis were at the Capitol on Chanukah to light the menorah. That’s when the security officer and his dog followed the rabbi. Amid the haggling of who gets to light the candles in which order, reports Stern, other attendees commented that a Great Falls supermarket would carry matzo on Passover and a Missoula man mentioned his pastrami shipment from Katz’s Deli in New York. Things seem to be changing in Montana. The officer and his dog watched the ceremony and the chanted Hebrew blessings. According to Stern, the dog sat at attention, watching the ceremony with a peculiar expression on its face, a look of intense interest. After the ceremony, the officer approached the Hasidic rabbi, introduced himself and Miky, and asked some questions. Miky was born in a Dutch animal shelter and shipped to Israel as a puppy and trained by the IDF to sniff out explosives. The Helena Police Department needed such a talented animal – the cost is around $20,000 – but learned it could import a surplus bomb dog from Israel for only the airline ticket. Miky’s new home was Montana. The problem: Miky had been trained in Hebrew and his non-Jewish handler received only a list of Hebrew commands and expressions. While Fosket tried practicing and also studying a Hebrew audio-book to learn more, Miky didn’t respond or understand what he was to do. Stern comments that Mikey was perhaps just using Fosket’s bad accent as an excuse to ignore him. The officer needed a Hebrew tutor. Lubavitch Rabbi Chaim Bruk – a recent immigrant from Brooklyn (definitely a different country than Montana!) now helps Miky and Fosket when needed. Fosket has learned to pronounce the difficult Hebrew/Yiddish “ch” (as in CHanukah, CHutzpah, CHaroset, etc.). Happy officer, happy dog and, says Stern, the rabbi now has someone to converse with in Hebrew. Read the happy story at the link above. In a collaboration that could be the model for other genealogical societies in other countries, the Israel Genealogical Society (IGS) has developed a special relationship with Petah Tikva’s Oded Yarkoni Archive, which focuses on the city’s history. The IGS hopes other municipal archives will follow. This model is also useful for encouraging individuals to join genealogical societies, as these particular databases are accessible only to IGS members, in its online Members’ Corner. In recent years, the Oded Yarkoni archive has made a number of databases available – through the IGS website – with information about the city’s population in its first 50 years. This is important to those searching family that lived there. The current databases are the 1922 census, various registries, the 1923-34 birth registry and the 1923-1939 death registry. The 1922 census database has been translitered from Hebrew to English, but the others are only in Hebrew. Here is additional information about the archival registries which are nine Hebrew-only lists, mostly undated, from the files of the town council. They include the craftsmen’s association, the vegetable marketing branch, the weighers, tradesmen, farmers, Maccabi Avshalom, automobile owners, horse-drawn wagon owners, and farmers living on the moshav. IGS has combined them into one database, including details found in each. As an example, the tradesmens’ list included the type of business and address for most individuals. In the craftsmen’s registry, only the address was listed. For weighers, the addresses were given with the year (1943-44), while Maccabi Avshalom’s list was dated 1939-1940. The database includes 947 names. It is in Hebrew and can only be searched in Hebrew. Some tips: If a surname is a compound, such as Ben Ezer, search for “contains Ben.” A joint ownership or partnership with two surnames is listed twice – under both the first and second surname. There is useful information here for those who can access it. Take a look around the IGS website for its English resources and databases. The Royal Library (Copenhagen, Denmark) just made available some 160 Judaic manuscripts originally belonging to Rabbi David Simonsen (1853-1932). The collection was acquired by the library in 1932, and thanks to a private donation, they have been digitized. The digitized collection contains items from 20 countries in 15 languages, and 163 volumes of various types, covering 131 shelfmarks, and more than 26,000 digitizations. Denmark’s Chief Rabbi, Simonsen was also a scholar, bibliophile and philanthropist, whose private library (some 25,000 printed volumes in numerous languages, 500 periodical titles and 160 manuscripts) forms the core of the Royal Library’s Judaica Collection. Some items exist in only a few copies worldwide, making this collection very rare. His personal archives (some 100,000 documents, letters, etc.) are also at the Library. The manuscripts have been digitized, with exceptions noted below. Read more about the project, including the user’s guide. See the digital facsimiles here. Tracing the Tribe was mesmerized by the collection’s most well-known manuscript. Gemma’s Prayerbook is a Hebrew prayer book written for the widow Gemma (Yemma) in Modena, Italy in 1531. Many pages are decorated with red and blue ink designs (see above left for an example on page 86; cover at right). View each of the interior 622 pages by clicking the green square to the right of the photo in the link above to reach the viewer. For those into Jewish heraldry, the title page has two coats of arms (at the top and bottom), and it includes a Haggadah, complete with wine stains. View each of the interior 622 pages by clicking the green square to the right of the photo to reach the viewer. The Passover haggadah (seder shel pessah) starts on page 334, and see page 344 for the Four Questions (mah nishtana…..). The image viewer provides excellent detail except that only a narrow window is given and one must focus on a detail to see it in magnification. I would have liked to see the whole page in large format, rather than pieces. There are handwritten inscriptions dated 1601 in Bologna (page 628), 1613, 1626 and others, containing names of individuals that I cannot decipher. Other items include the only Genizah fragment in Danish collections, a Judeo-Arabic letter, tentatively dated to the 12th century , a musical score, three Jewish marriage contracts (ketubot)and more. The unusually shaped ketubot are for: (1831, Rome) Ya’aqov Avraham ben Yosef Pipirnoa (Pipierno?) and Perla bat Shabtai; (1847, Rome) Yeshayahu ben Shlomo Piani and Yudita bat David; and (1847, Rome) Ya’aqov Refael ben Shabtai and Grazia bat David. Items excluded include 10 megillot (scrolls of Esther for Purim), as a new viewer needs to be developed to view the scroll format. Also excluded are those with technical problems (size, condition or other concerns), although they are expected to be included eventually. High resolution copies (B&W, Color, and even posters) of the digitized documents may be ordered. For more information, contact the Royal Library’s Judaica Collection research librarian Eva-Maria Jansson.